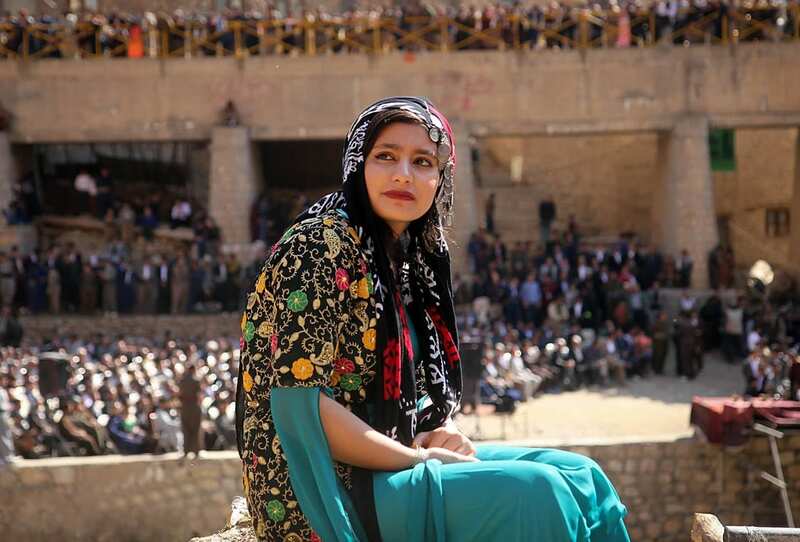 A number of ancient kingdoms and cultures of the Mesopotamian region celebrated some form of spring rites as a passage of renewal, and the beginning of Nowruz celebrations is undoubtedly connected. However, though ancient in origin, the modern celebration of Nowruz has unique characteristics that have been molded in the Iranian experience. Most significantly, the beliefs of Zoroastrianism have influenced Nowruz. The renewal of natural life blended symbolically with the struggle between the dual Gods of Lightness and Darkness. Nowruz marked a turning point, the triumph of hope over despair, as the forces of darkness (winter) began to give way to the goodness represented by light (spring). Nowruz has been throughout Iranian history a time of great celebration. 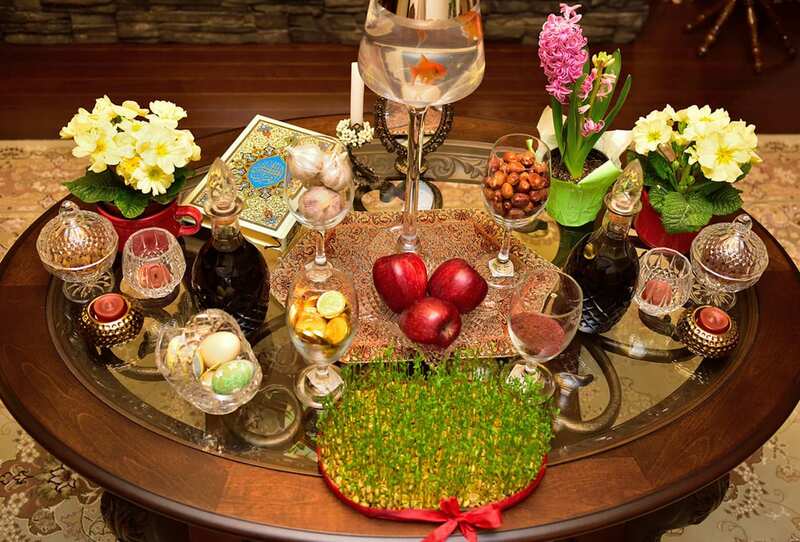 Though the actual New Year’s Day is March 21st, the celebration of Nowruz continues over several weeks with a number of customary symbolic rituals relating to the concept of renewal. Among these are the setting up of a household table which contains seven items (Haft Sin), the names of which each begin with the letter of the Persian alphabet “sin” (S in English). The traditional New Year’s spread (sofre-ye haft sin) features seven items that begin with the letter S sabzeh (sprouts), samanu (pudding), sib (apple), serkeh (vinegar), sir (garlic), senjed (dried oleaster), and somaq (a fruity spice). The spread also typically includes other items such as a copy of the Qur’an, a mirror, and live goldfish. The Iranian New Year, Noruz, is the most important festival of the year and is celebrated by peoples from the Balkans to Central Asia and India. Another symbolic, and fun, ritual is the building of a bonfire on a certain day of Nowruz and jumping over the flames. Nowruz in modern-day Iranian society has its secular trappings. It is the major holiday of the year, a time of two weeks’ vacation from school and the closing, or skeleton operation, of government offices. It is also a time of personal renewal, exchanging of gifts, and a general celebratory atmosphere. See also CALENDARS.